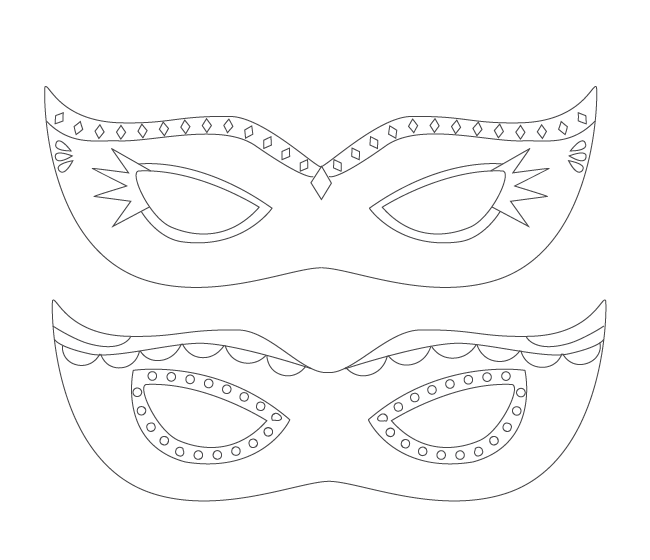 We’re having a snow day on this Fat Tuesday so what better way to spend the day than by coloring some Mardi Gras masks! I prefer to print these out on some good heavy paper and hot glue them to a wooden dowel or long Popsicle stick. But, if you prefer you can use a hole punch to cut holes on each side and tie on an elastic string to hold on to your head.